Gather your friends, get on your bikes, and terrorize the streets with the new Bikers DLC for Grand Theft Auto Online. The 2 Gb update for Grant Theft Auto V arrived yesterday and it lets you and your crew finally realize your dreams of starting your own Motorcycle Club. Just like Ron Perlman! The new clubs will accommodate up to eight players. Once you pick a prime spot for your Clubhouse, you can pick a President for the club who will be responsible for promoting the other members to key roles like Vice President, Sergeant-at-Arms, and Enforcer. These roles will have unique abilities, such as dropping Body Armor for everyone or calling in Hit Squads, that will prove beneficial when you undertake the new Clubhouse Contract missions. These Freemode missions are accepted by the President and can be completed with your entire MC crew. 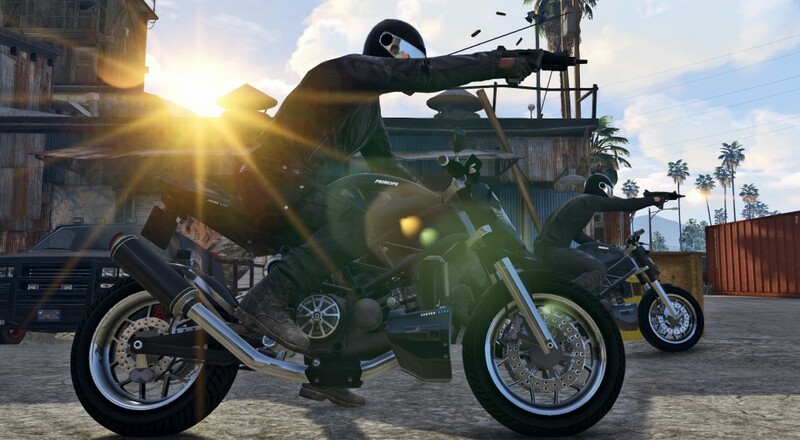 Along with the new club and missions, the Bikers dlc also adds new weapons, vehicles, and clothes. The update is available now for free and should be added automatically the next time you launch Grand Theft Auto V.